It has been stated that the decision on Interstate 81 represents the one of the biggest issues for the Syracuse region in 40 years. At this stage in the process the New York State Department of Transportation has revealed 16 different proposals which will now be analyzed. Options encompass tunnels, cuts, rebuilt viaducts and surface options. No matter what the ultimate outcome, the best options for the city and the region should link neighborhoods, provide sustainability, minimize long term costs and also be realistic about economic development and pedestrian opportunities. To that end we have produced a rendering of one of the NY DOT schemes: a surface level thoroughfare with four driving lanes, a cycle track and on-street parking. Under our scenario, reclaimed land is at times large enough for new buildings and where not as wide could provide opportunities for public amenities and an enhanced pedestrian environment. 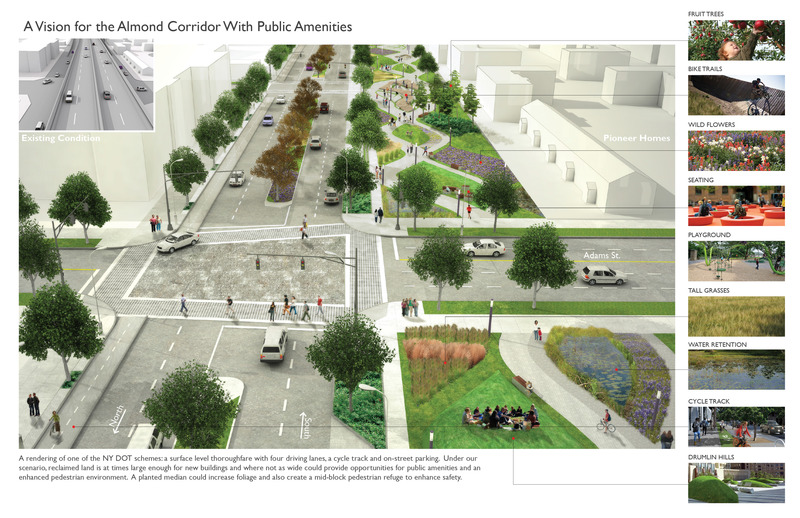 A planted median could increase foliage and also create a mid-block pedestrian refuge to enhance safety. 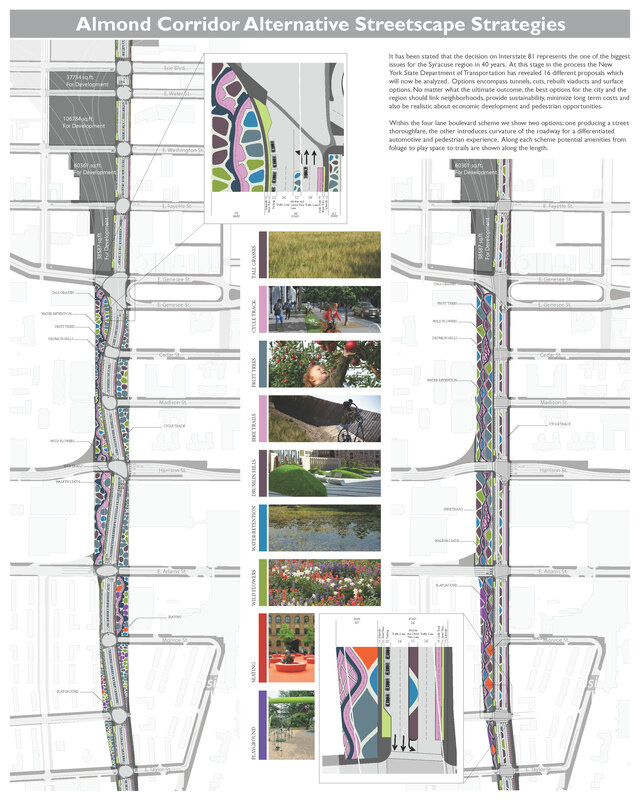 Within the four lane boulevard scheme we show two options: one producing a street thoroughfare, the other introduces curvature of the roadway for a differentiated automotive and pedestrian experience. Along each scheme potential amenities from foliage to play space to trails are shown along the length.